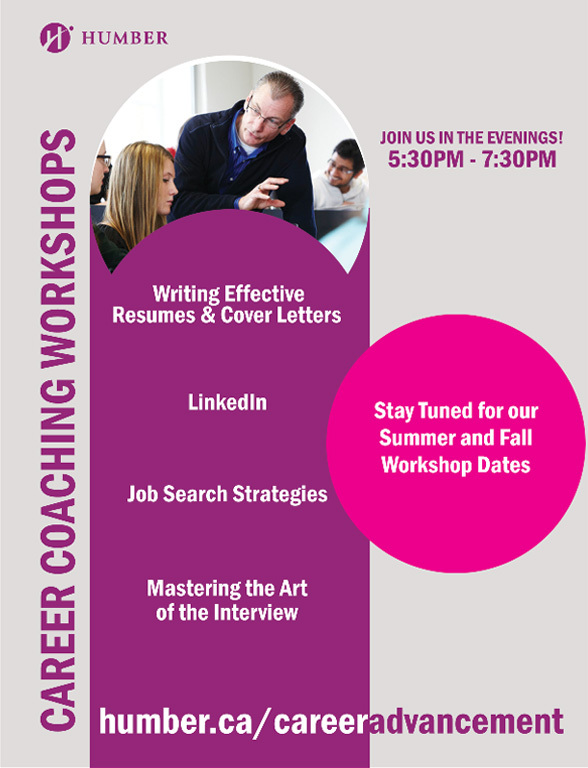 CAREER COACHING SERVICE IS HERE TO HELP! Strategy helps you win, even in your job search. 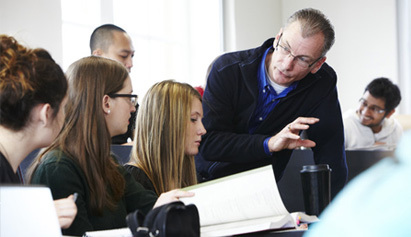 The Career Coaching offers a unique approach to career decision-making and goal setting. Read more about CAREER COACHING SERVICE IS HERE TO HELP! The service includes interest and skills assessment, one-on-one coaching, career goal identification, assistance in creating a customized educational plan, and offer information on various occupations. Career Support Peer (CSPs) meet with Humber student to provide an in-depth review of resumes and cover letters. The one-on-one session with CSP help you how to create, write and organize a resume and cover letter for various job/internship postings. 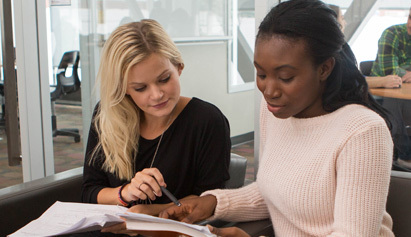 Workshops are free for all students and are designed to give you tips on writing effective resumes and cover letters, creating a LinkedIn Profile, acing interviews, and doing effective job searches! Join us in the evenings! Not a Humber College Student?